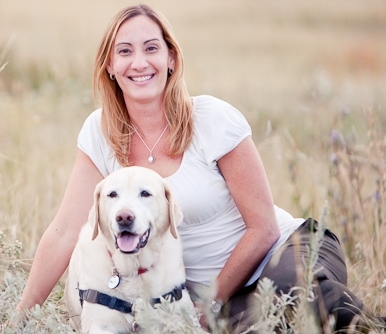 Ms. Lindsay Wood is an associate Certified Applied Animal Behaviorist (ACAAB) and serves as the Director of Animal Training and Behavior for the Humane Society of Boulder Valley. She attained her Master's Degree in Psychology with a concentration in Animal Behavior from Hunter College. In addition to her Master's degree, Lindsay received the Hunter College Graduate Certificate in the Advanced Psychology of Animal Behavior and Conservation, registered with the New York State Education Department. Lindsay's professional accomplishments include 15 years within the field of animal training and behavior, the development and implementation of the Humane Society of Boulder Valley’s behavior modification program to reduce shelter euthanasia and increase adoptability, consulting for shelters across the country on the establishment of a behavior program, and serving as an invited speaker for professional conferences including Animal Behavior Management Alliance (ABMA), Clicker Expo, Colorado Municipal Judges' Association (CMJA), and Colorado Federation of Animal Welfare Agencies (CFAWA).